Generally speaking, the European settlers in North America coined the phrase 'Indian' or 'Red Indian' to describe the North American tribes they found while they were settling what is now the USA. To the north of this vast collection of varying regions and climates were the native settlements of what is now Canada, while to the south were the various peoples of modern Mexico, most especially the Aztecs. 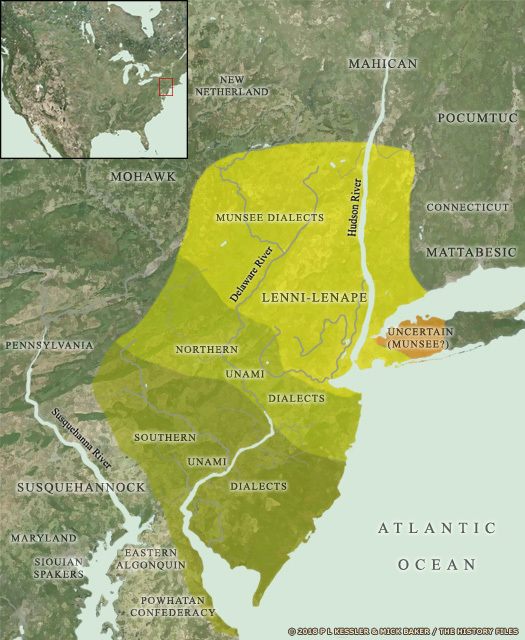 The Metoac tribes were located on Long Island, part of modern New York State on the north-eastern coast, with their neighbours on the mainland being the Mattabesic to the north, the Munsee Lenni-Lenape to the west, and the Unalachtigo to the south-west. The tribes of Long Island are rarely mentioned separately or together in any context other than in the early period and on Long Island, the one possible exception being the Montauk, providing as they did the sachem (chief) for all the tribes on the island as one of the so-called (erroneously) thirteen tribes of Long Island. The island's natives all spoke an Algonquian language, but the word 'Metoac' is something of a contrivance which derives from the Montauk people. It would appear that this 'Montauk Confederacy' was part of the Delaware communion of native nations (see Delaware/Lenni-Lenape map link, right). The 'Metoac' spoke two dialects of Algonquian, which reflects the language associations between the Connecticut Algonquins to the north. The Montauk and Shinnecock of eastern Long Island spoke a dialect which was similar to that of the Pequot, Mohegan, Niantic, and Narragansett of eastern Connecticut and Rhode Island. Meanwhile, the 'Metoac' in the central and western portion of the island used a dialect which was identical to the Mattabesec (of western Connecticut) and the Wappinger of the lower Hudson River (on the eastern side). Living along the island's southern shore were the Canarsee (who spoke the Munsee dialect, being located closest to them in geographical terms, and who could name the minor Jameo as a remnant division of theirs), Massapequa (Marsapeague, who possibly spoke the Munsee dialect), Merrick (of which the Marechkewick were either a minor remnant division or simply the same people with a variation of the Merrick name), Rockaway (of which the minor Maspeth remnant group were apparently a division), Secatogue (or Secatoag), and Unquachog (Unkechaug, Unquachogue, or even Uncachogee - but not to be confused with another Unkechaug or Unquechauge which was the alternative name for the Passamaquoddy). The Unquachog were situated towards the southern side of the town of Brookhaven, with their main base at Mastic and Tobaccus serving as their sachem in 1664. The Patchogue (or Patchoag) were classed by Morice as a subgroup of theirs. The Poospatuck (or Poosepetuck) seem to have been the same group as the Patchogue, inhabiting the south shore from Patchogue Island to the Shinnecock country. Apparently the Poospatuck were survivors of the divided and reduced Patchogue. The Connetquot were also part of this group (see the entry for 1683, below). Along the northern shore were the Corchaug (of which the Yennacock were a minor remnant division), Matinecock (who also possibly spoke the Munsee dialect), Nissequogue (Nesaquake), and Setauket. The very powerful Setauket (Setalcott) tribe had its tribal centre at Setauket, along Brookhaven's northern shore. On the island's north-western corner, near Fort Hamilton and just south of the Maspeths, were the Nayack. They were believed to have left the island shortly after the first Dutch settlers arrived. Doctor John A Strong's remarkable work covering all of the island's tribes lists them and several other minor groups (see 1621, below). At the eastern end of the island were the Manhasset, Montauk, and Shinnecock (the last of these is possibly a later form of the Seponark Indians who were mentioned in a land agreement of 1649, while 'Shinnecock' is not used in Southampton's town records until 1657). The Montauk (otherwise known as Montaukett) seem to have been the most warlike of the tribes on the island and they steadily reduced the other tribes or groups to a level of subjugation prior to the arrival of Europeans. Wyandanch, the Montauk sachem, was grand sachem of all the tribes on the island, and his signature was required on the early Indian deeds in addition to that of the sachem of the local tribe when land was purchased by the white settlers. The names of some of the other sachems were recorded but no dates are known for them. In the absence of any precise records an educated guess has to be made which places them roughly in the right time span. The combined population of all of the 'Metoac' tribes around this time is probably somewhere around the ten thousand mark, but the combined effects of warfare and epidemic during the next sixty years proves devastating. The first Dutch fur traders arrive on the Hudson River (named after Henry Hudson) to trade with the Mahican. Besides exposing them to European epidemics, the fur trade destabilises the region and, rather than prosperity, it brings death and destruction to the Mahican. At first, the Dutch traders come only in the summer, load up their ships with fur, and then sail back to Europe. The Dutch West India Company is founded to deal with trade monopolies in the Americas and West Africa. In 1623 it establishes the Province of New Netherland, and settlers begin to arrive from the Netherlands, the Spanish Netherlands (modern Belgium) and areas of Germany. In 1624, the first director-general is appointed by the West India Company to govern the colony; an explorer and fur trader who has been instrumental in building up the colony. By this time it seems likely that the first Dutch settlers have also entered Long Island, the western portion of which is claimed by New Netherland as Lange Eylant. Dr John Strong has this to say about Long Island at this time: 'The scholar Morice believed that the 'Patchogue' (from Wood's list) was actually a subgroup of the 'Unkechaug', but he did not refer to any new documentation that would support his argument. In addition to the thirteen 'tribes', Morice listed five small 'remnant' groups: the Maspeths, Marechkewicks, Nayacks, Jameos, and Yennecocks. Morice squeezed four of these into the existing list as subgroups: Maspeth/Rockaway, Marechkewick/Merricks, Jameo/Canarsies, and Yennecock/Corchaug, so if we accept this line of thought, we can place the Jameo, the Maspeth, Patchogue, Yennecock and Marechkewick by subsuming them into their apparent 'parent' tribes. This automatically brings the overall total down once more. If it is accepted that the Nayack had moved off the island shortly after the Dutch arrival then the total is reduced by six. Former military engineer Lyon (or Lion) Gardiner who is being employed within the British Colonies to build and command a fort at the mouth of the Connecticut River, purchases from the Montauk an island which they know as Manchonat. Located at the western end of Long Island, Gardiner's original grant gives him proprietary rights on the island and makes it an entirely separate and independent 'plantation' that is in no way connected either with New England or New York. He is therefore empowered to draft laws for the Church and state. He names it the Isle of Wight but it is better known today as Gardiners Island. The Raritan retaliate in the New Netherland 'Pig War' by burning De Vries' plantation and killing four of his field-hands. Governor Kieft responds by ordering the extermination of the Raritan and offers a bounty of ten fathoms of wampum for each Raritan head brought to him at Fort Amsterdam. Only a few 'Metoac' warriors from Long Island 'take up the hatchet' against the Raritan, and the people themselves retreat westwards into New Jersey. Kieft's generous offer nets him only one head. Kieft believes that the Narragansett sachem, Miantonomo from Rhode Island, favours all-out war with the colonists, and is canvassing support for an uprising from tribes in the region, but in fact the sachem is soliciting support for a war with the Mohegan in Connecticut, He arrives with a hundred warriors and visits the 'Metoac' tribes on Long Island and the Wappinger and Mahican along the Hudson to recruit allies for his intended war. Such a war should have been of little concern to the colonists, but Governor Kieft's relationship with the hinterland tribes is fraught with suspicion. Meanwhile, Raritan and Wecquaesgeekx sachems try to restore peace with the Dutch. At a time in which basic picket fences denote plots and residences for the New Netherland settlement of New Amsterdam, Governor Kieft's attempts to tax and then drive out the Native Americans have led to the Wappinger War, or 'Kieft's War', of 1643-1645. As the news of the Dutch massacre of Wecquaesgeekx spreads, the Hackensack and Tappan of the Unami join the other Wappinger tribes in attacks against the outlying Dutch farms. The Dutch are driven inside Fort Amsterdam and, preparing for a possible siege, Kieft adds fuel to the fire by confiscating corn from the 'Metoac' on Long Island, killing three Canarsee in the process. The war spreads to include warriors from at least twenty tribes: the Hackensack, Haverstraw, Navasink, Raritan, and Tappan of the Unami (and possibly some of the Munsee) west of the Hudson; the Kitchawank, Nochpeem, Sintsink, Siwanoy, Tankiteke, Wappinger, Wecquaesgeekx from east of the Hudson; and also the Canarsee, Manhattan, Massapequa, Matinecock, Merrick, Rockaway, and Secatogue from Long Island. With only two hundred and fifty men against fifteen hundred warriors, the Dutch are in danger of being overwhelmed. However, the Mohawk and Mahican remain loyal, and Kieft is able to sign a treaty of friendship and trade with them at Fort Orange. The Mohawk and Mahican do not intervene in the fighting, but the very possibility that they might is enough to keep tribes from joining the Wappinger. Montauk grand sachem over the island. Kieft offers 25,000 guilders to the English colonists in Connecticut for a hundred and fifty men to help put down the uprising. Two companies are formed under the leadership of John Underhill and they join the fight in 1644. The first combined Dutch-English expedition is sent against the Unami Raritan on Staten Island, but the Raritan abandon their villages and flee into northern New Jersey. The Unami Tappan and Hackensack prove equally difficult to corner, but the Wappinger and 'Metoac' have nowhere to retreat and are badly mauled. Before a peace is signed at Fort Orange in August 1645, more than sixteen hundred Wappinger and their allies are killed. Under the terms of the treaty, the Wappinger and 'Metoac' become subject to the Mohawk and Mahican and are required to pay an annual tribute in wampum. This effectively gives the Mohawk and Mahican control of the wampum trade of western Long Island and the lower Hudson. In fact, the Mahican use the Wappinger to collect tribute from the 'Metoac'. Any failure to pay results in Wappinger raids on the 'Metoac' villages which the Dutch make no effort to prevent. Kieft is dismissed and summoned back home to answer for his part in the war. The ship carrying him sinks off the English coast. Montauk grand sachem over the island. Dates uncertain. Narragansett natives under the command of Chief Ninigret invade the island's Montauk territory from across Long Island Sound, a tidal estuary that separates the island's long northern coast from the modern state of Connecticut. A war is triggered that lasts for several years and which will result in the entire extinction of the Montauk tribe but for the help that they receive from the white settlers. They are compelled to abandon their villages and flee for safety to East Hampton, where they are kindly received and protected. The commissioners send supplies and military materials to the towns of East Hampton and Southampton, and to the natives. They also station an armed vessel in the sound under the command of Captain John Youngs, with orders to wreck Ninigret's canoes and to destroy his forces if he attempts to land on the island. The war appears to continue until about 1657 and it leaves the Montauk in a very much weakened condition. A party of six men from the British Colonies of New England lands on the shores of Long Island. 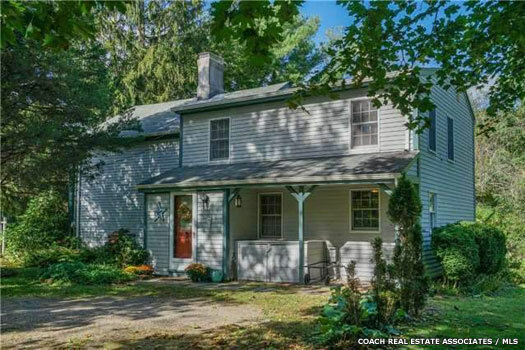 They purchase from the Setauket a tract of land that extends from Stony Brook to and including Port Jefferson. The settlers live in peace alongside the island's various tribes which includes the Canarsee, Corchaug, Manhasset, Massapequa, Matinecock, Merrick, Montauk, Nissequogue, Rockaway, Secatogue, Setauket, Shinnecock, and Unquachog. The deed of purchase contains the signature marks of the Setauket sachem, Warawasen or Warawakmy, and fourteen of his tribesmen. Unknown Unquachog sachem, who agreed 1657 purchase. Richard Woodhull, acting for the settlement of Setauket (now a hamlet that forms part of the town of Brookhaven), purchases two large tracts of meadow land from the Unquachog. One of these meadow areas is at Noccomock, a region on the eastern bank of the Connecticut (Carman's) River, whilst the other is in the southern part of Mastic, along the bay's front. The deed to these meadows, the second earliest recorded, is dated 20 July 1657. The price paid is the usual assortment of axes, guns, powder, lead, and knives, gathered from the settlers who hope to use the land. In the same year more land is purchased from the Setauket. The 'Metoac' have grown tired of their situation and have decide to correct it by killing all of the Dutch on Long Island. However, the English colonists on the island warn the Dutch, which prevents a major uprising. Governor Stuyvesant responds with troops but, after promising to halt the Wappinger raids, is still forced to ransom fifty Dutch colonists who are being held by the 'Metoac'. In the same year, presumably following the attempted uprising, a smallpox epidemic hits the island. The Indians are especially hard hit, reportedly suffering sixty-six per cent fatalities. This disaster when combined with continuing pressure from further new settlers, serves to drive the 'Metoac' tribes off the island by the end of the century. Wyandanch's daughter is captured by the Narragansett during an invasion of Montauk lands. 'Metoac' numbers are below five hundred by now, and they clearly lack the strength to defend themselves properly. Instead, Lyon Gardiner rescues her and returns her to her father. In gratitude, Wyandanch grants to Gardiner territory upon which the settlement of Smithtown is soon constructed, taking the land from the Nissequogue people. On the whole, relations between the island's natives and the English white settlers are peaceful. This is not necessarily the case where the Dutch are concerned. Montauk grand sachem over the island? Dates uncertain. One of several other tracts of land to be purchased from the natives is located in the southern part of what is becoming Brookhaven is the 'Old Purchase at South', which includes parts of the communities now known as South Haven (the western part), Brookhaven, and Bellport. This purchase is made from Tobaccus on 10 June 1664, for four coats and six pounds ten shillings in cash (US$16.25). Canarsee sachem? Dates unknown or uncertain. Corchaug sachem. Dates unknown or uncertain. Manhasset sachem. Dates unknown or uncertain. The Poospatuck - apparently part of the Unquachog - have a reservation ceded to their sachem, Tobaccus (fl 1664-1671, see above). It is located on Forge River, a short distance above the town of Mastic. Son of Quashawam. Montauk grand sachem over the island. The Unquachog have become displeased with the 1657 deal for their land, which had been transacted by Wyandanch, sachem of the Montauk and grand sachem of all of the Long Island tribes. A committee is appointed at a town meeting on 22 August 1671, to go to the natives and settle the dispute, and to carry 'som Likers with them to the Indians on the town's account'. The committee is apparently successful, whether by reason of the 'likers' or otherwise, and the same land is repurchased in 1674 from Tobaccus, the new Unquachog sachem. The town of Brookhaven now owns all of the 'mowable meadow land, whether higher land or lower that lieth between a river called Connenticut, to another river called Mastic'. This is called the 'New Purchase'. On 19 November 1675 the Setauket sachem, Gle, conveys to Richard Woodhull, acting for the town, all unsold land within the limit of the patent to the middle of the island, and also confirms all former grants that cover all of the land that has until now been claimed by the Setauket between Stony Brook and Wading River. 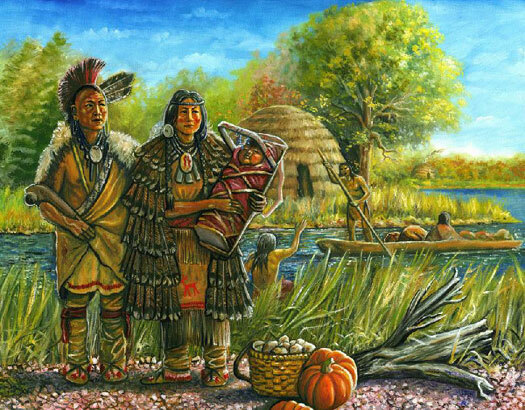 Described by Thompson (see introduction, above) as a semi-tribe (ie a sub-tribe) or family of the 'Patchoag' tribe, the Connetquot occupy the eastern side of the Connetquot River, in the vicinity of Patchogue in Suffolk County on Long Island. Thompson also includes this territory as part of the lands of the Patchoag themselves, and the name seems to be a dialectal form of 'Connecticut'. Tackapousha is recorded as being another Lenape chief to sell land on the Rockaway Peninsula to one of the new colonists. What is now known as Far Rockaway is handed over to an Englishman named John Palmer. 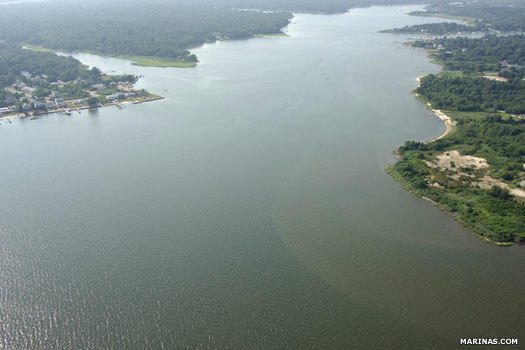 A tract of land on the south side of the town that extends eastwards from the Connecticut (Carman's) River to the Mastic River and northwards to the middle of the island is purchased from the natives by Colonel William Smith in May 1691. This also includes the Great South Bay, the island within it, and the ocean beach, and is known as the Manor of St George. A patent for this immense tract of thousands of acres is issued by Governor Fletcher in 1693. It is estimated that by this time only four hundred American Natives remain on the island. By the time of the American Revolution in 1775, Indians are a rare sight on the island, having been driven away from their beloved home. During this century the natives become assimilated into other groups that gradually move away from the east coast, especially the Brotherton. However, some groups remain on the island and their descendants are still there today. Around two hundred and fifty individuals of the Mahican, Mohegan, Narragansett, Pequot, Wappinger, and other diminished tribes of Connecticut and Rhode Island, together with the Montauk and others from Long Island move to Oneida County and call their settlement Brotherton. The 'Metoac' number one hundred and sixty-two now, making it imperative that they combine with other native remnants. They all go under the leadership of Samson Occum. the Indian minister. As their dialects are different they adopt the English language. Last Unquachog & Poospatuck sachem. A few mixed-bloods still survive on the Poospatuck reservation of fifty acres (ceded to them in 1666). Apparently they have no knowledge of their language or customs. Elizabeth Joe, their woman sachem and last chief, dies in 1832. In 1890 they number ten families who are governed by three trustees. The census of 1910 lists one hundred and sixty-seven Shinnecock, twenty-nine Montauk, and one Poospatuck. Currently, there are two reservations on Long Island: the Shinnecock with nearly four hundred residents; and the two hundred Unquachog on the Poospatuck reserve. Besides those on the reservations, there are almost fifteen hundred 'Metoac' living in the immediate area. 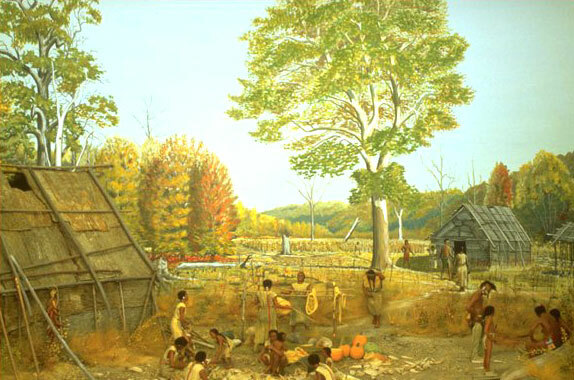 Although the state of New York attempts to close the reservations during the 1930s, state recognition of the Shinnecock and Unquachog dates from the colonial period. However, since they have not signed treaties with the United States, neither tribe is federally recognised.